This means my blood sugar was between 80 - 180 for a 24 hour period. That's pretty close to perfection for me and is really difficult to do. There is very rarely a day that I get this kind of 24 hour view on my monitor - maybe once every few months if I'm lucky. 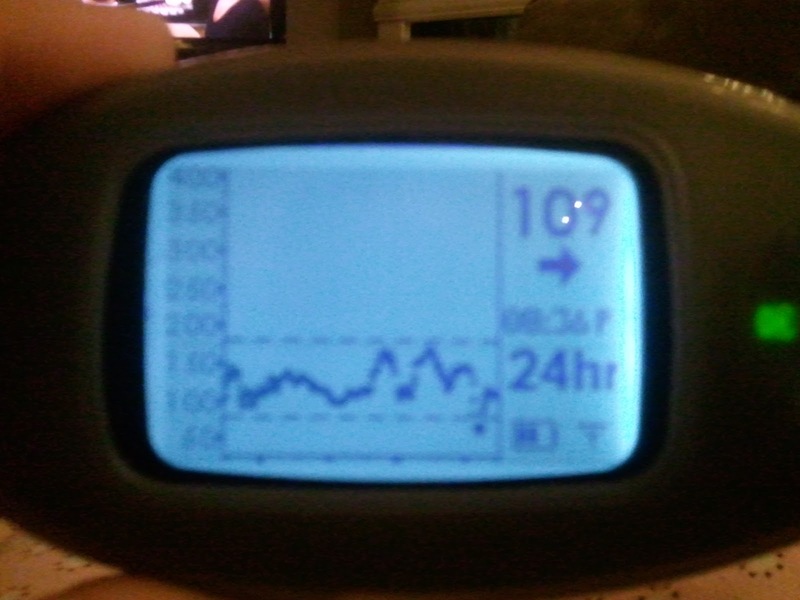 The peaks represent meals and that one dip at the end was my run yesterday evening. Best of all - I got a night of sleep that was not interrupted by any alarms or buzzing. Booyah! Of course this streak was busted by a couple of overnight lows and a high after breakfast this morning. Perfection is short lived. Hey, Tough Chik Susan! I tagged you in my post. Play along if you will! Sorry to tag you like this but I didn't see an email address over here.